Thread: 22 September 2010 my Dorsoduro 1200 test. 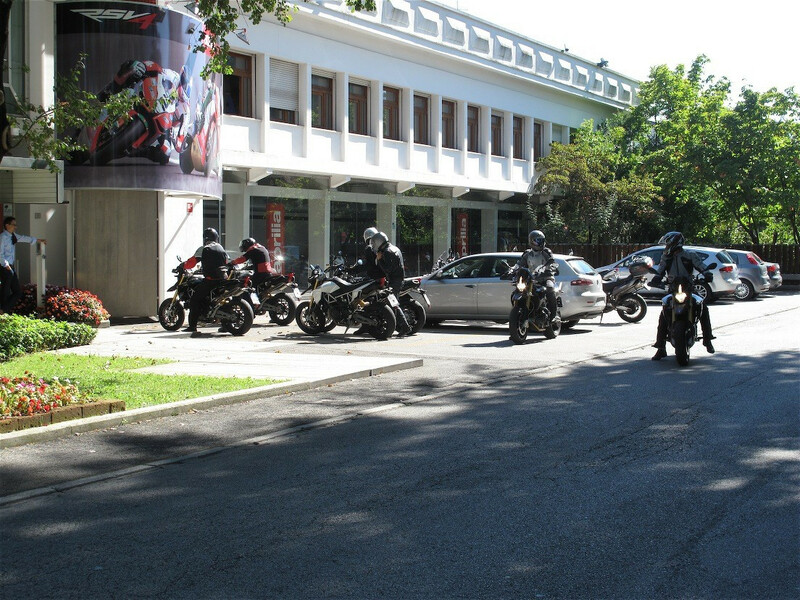 In the middle of the week, a sunny day... a perfect day for a test of new beast of Aprilia! 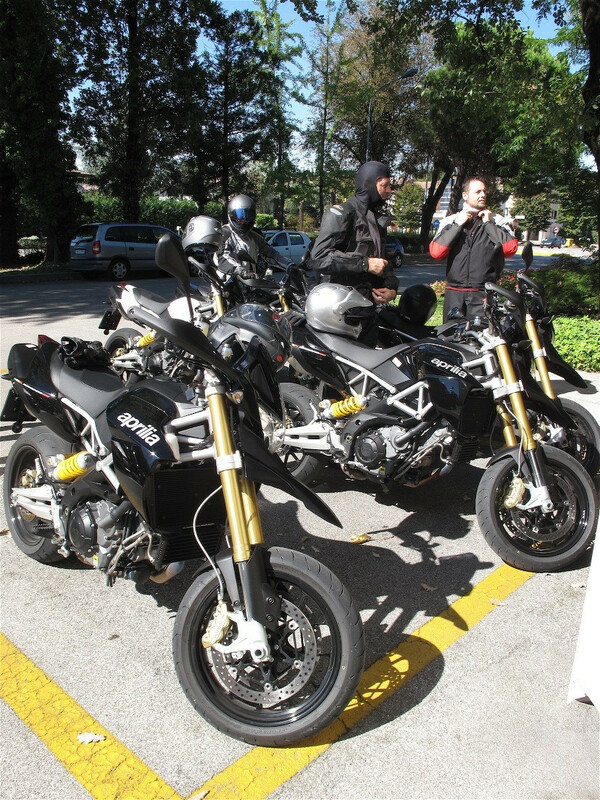 Italian's Aprilia club (like Apriliaontheroad.com, Shiver club, Dorsoduro forum....) have the chance to try before the journalists, the new Dorsoduro 1200. With us, every session, 3 engineers who developed the bike. The test was 3 hour, in the zone of "Montello" near Noale, a place where daily Aprilia tester go to check the bike.... so curves, curves and curves! My personal impressions: good job for the 3 maps. -SPORT not suitable for beginners bikers! Good distribution of torque and power from 2000 to limiter! -TOURING my favorite... more human than sport. -RAIN funny with dry asphalt too! I think ideal for wet ground. The saddle are more comfortable that 750 cc. No doubt... a incredible experience! 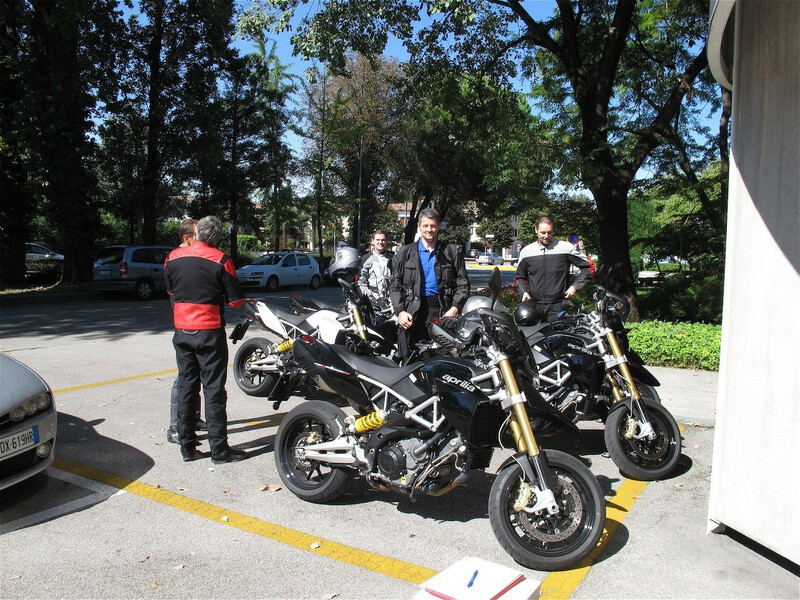 Thanks to Aprilia staff with the hope to make a new meeting with the future models of Noale's factory! P.S. I've a lot of things to explain to you but my little english is a limit for me! Sorry!!! Last edited by andydj31; 12-08-2010 at 07:03 AM. P.S. sorry for my bad English!! Aprilia Caponord RR '04 "Gundam" o "Biscottone". 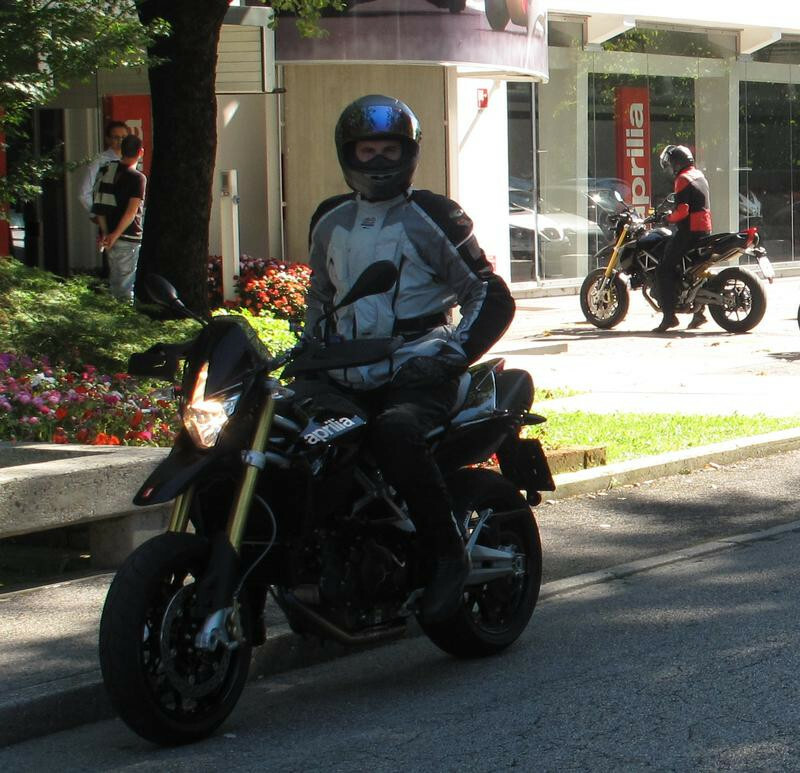 Aprilia Pegaso Cube 650 '01 "La piccola". 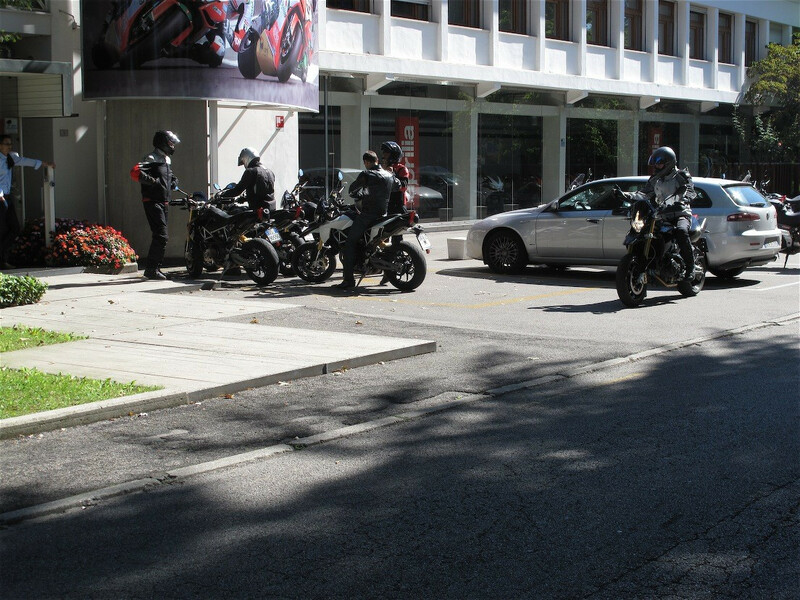 Thanks for posting the pictures, I look forward to seeing the DD 1200 in person. Thanks for the post and pictures. Not to worry about your English..... it is much better than many Americans. Thomas Edison tried 24,999 times before making the first working battery, how would you like to have a 0.01€ for every battery ever made????? very cool. You guys all look so tall! It must be nice to be able to flat foot a Dorso... a luxury I will never have. ha! Hey why not post the whole feelings and experience in Italian. Many americans including myself are fluent in Italian. Never under estimate the # of italians abroad we're at least 60 million, whereas Italy's population is about 60 million as well. I would translate the whole thing for every english reader. I dont know how you get access to the factories, but I still remember the day I met you and your friends. Getting to spend the whole day at Aprilia looking at the it`s operation was Amazing ! hi guys i got a dorsoduro 1200 with the abs and traction control my previous bike was a ktm rc8r and o be honest the DD kicks it to the kurb a friend bought a standard rc8 when i got my DD and he cant get near me just waiting on my carbon cans to turn up as she is a little quiet with the standard cans but i must say i am not disapointed in any way ! "my previous bike was a ktm rc8r and o be honest the DD kicks it" omg, REALLY? Damn I love this bike.